Augmented reality app and mobile app development becomes extremely popular while real and augmented world are integrating and merging. We can’t imagine our lives without digital devices. To make life more comfortable augmented reality app and mobile app developers create more and more applications to cover all the needs of consumers. Best companies have already experienced the advantages of implementing AR in their business. 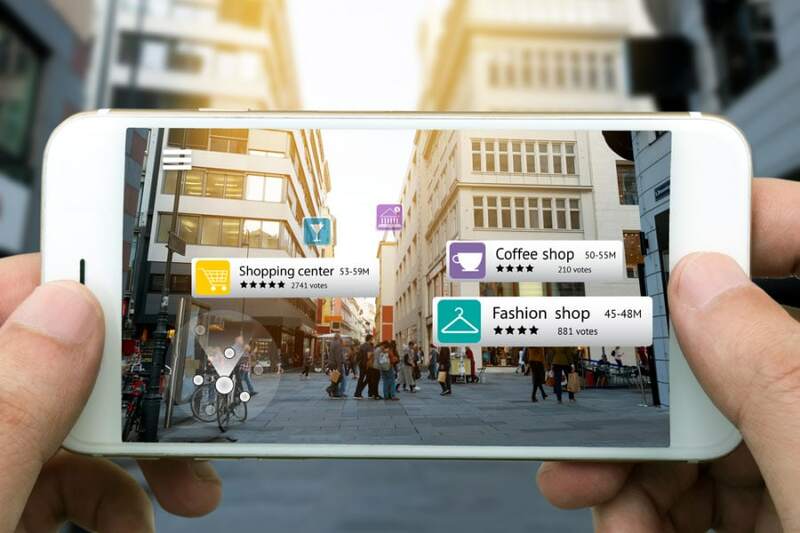 Since leading marketers introduce augmented reality in their marketing strategies to get unlimited capabilities for brand recognition and promotion. Silver Solutions, an augmented reality company in Canada, develops solutions to make your business competitive and forward you ahead in the innovative future. To deviate from competitors – you must be creative. If you are an e-commerce company – make 360-augmented view of your product. Using mobile app consumer can have firsthand look of how product will fit in his home, or how dress, glasses. Trainers will complete their look, it’s like fitting room without need to go outside. Preview is available and convenient option which helps customers to save their time. AR objects should be useful and provide not only entertaining functions, but also educative integrating in such spheres as medical care, art, schooling etc. Augmented reality app and mobile app development company in Canada. Silver Solutions understands consumers’ needs and finds personal approach to each client in the process of app development. Each year the way organizers, hence vendors and sponsors engage with attendees at the events changes rapidly as the new innovative technologies always open wide range of opportunities. VR and AR are becoming the key catalysts to propel an event industry to new heights. Since you are as an event manager, you need to always plan a budget. Large portion of which is invested in event venue, lodging, food and beverages, speakers and other logistics. Using VR and AR gives an option to decrease the costs of event organization. If your conference or trade show would be held through virtual reality. Since technologies make possible to attend event without physical presence. Company Double Robotics developed a remote-control robot equipped with iPad, giving an opportunity to save time on flight. Since committing inconvenience of time-zone changes, and to interact with other event-goers virtually. AR opens a wide range of possibilities in 3D, while most of ads on the display network are generally show in 2D interfaces. Storytelling is one of the most popular ways of brand promotion and content genre. AR provides your story with possibility of deeper connect and customer engaging. Story acquires game-like feature, bringing consumers into the experience. since AR is a great social media tool, which can implemented in the social media tactics. Since brand experience can be improve by using unique filters, videos, animations and interactions with the product. Augmented reality will definitely take your video strategy to the next level. Since choice of augmented app development company is a very responsible task, which must be taken according to your goals and as the result completed properly. Augmented reality and mobile app development company in Canada – Silver-Solutions.net – is your guide in the world of augmented and virtual realities and reliable partner in living up to your dreams.